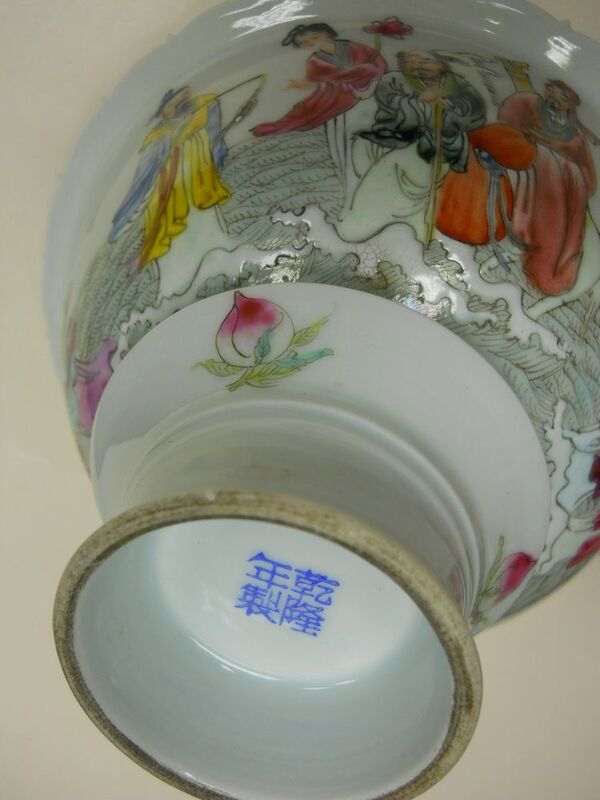 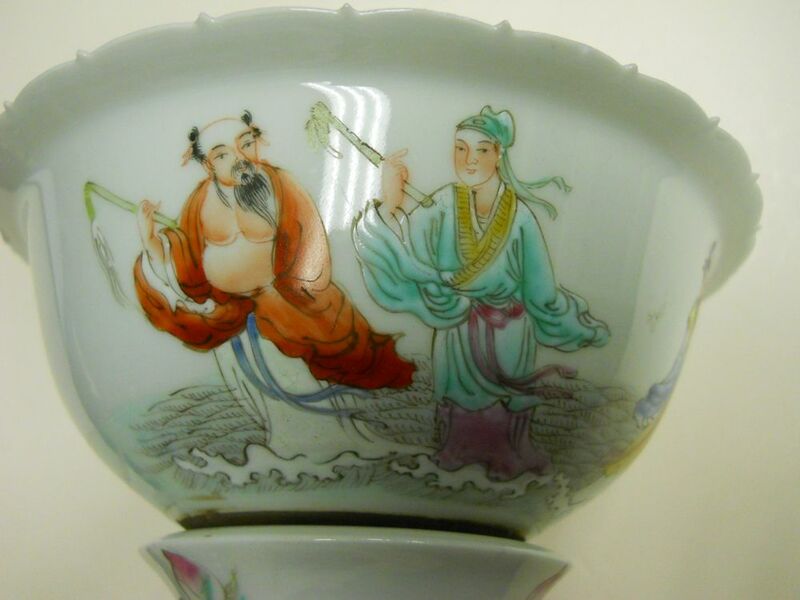 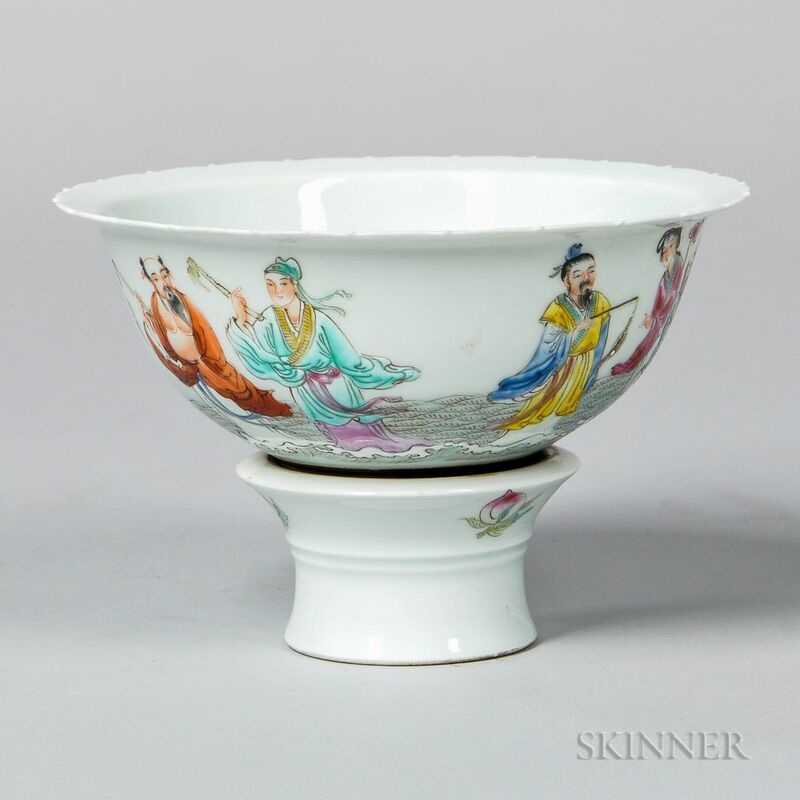 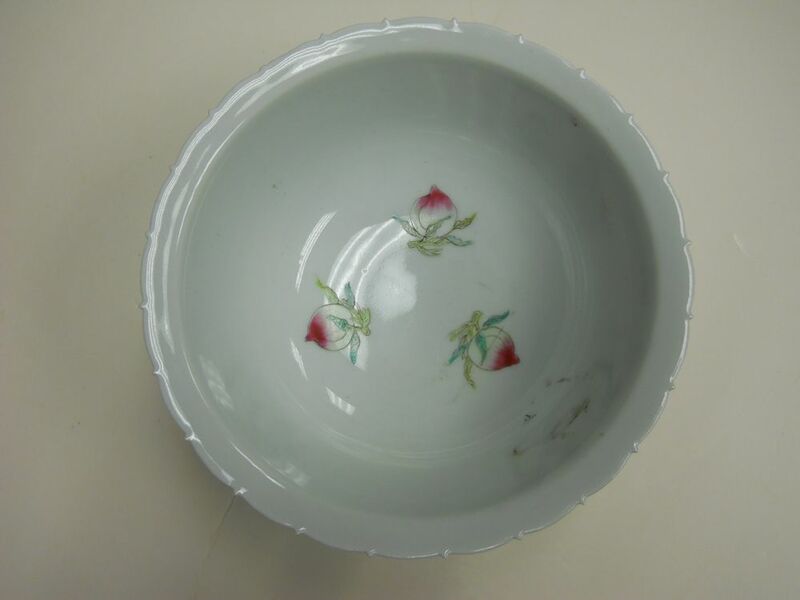 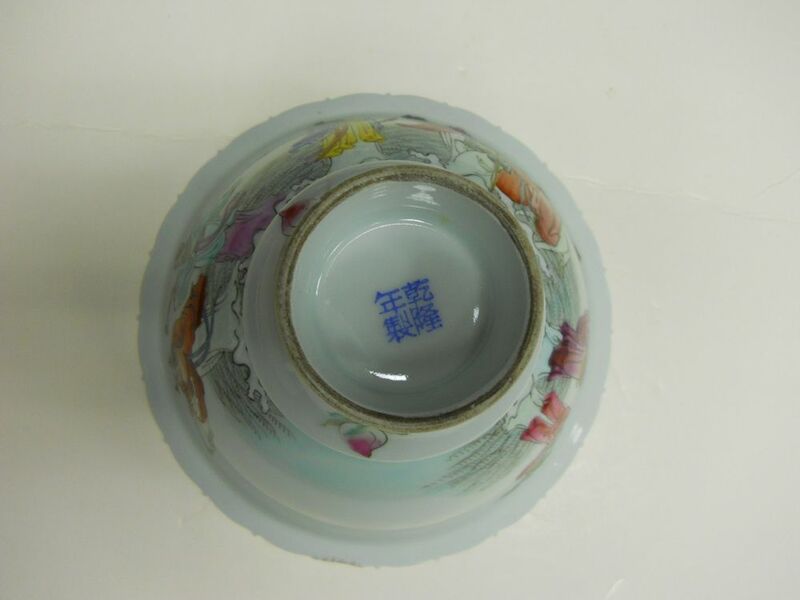 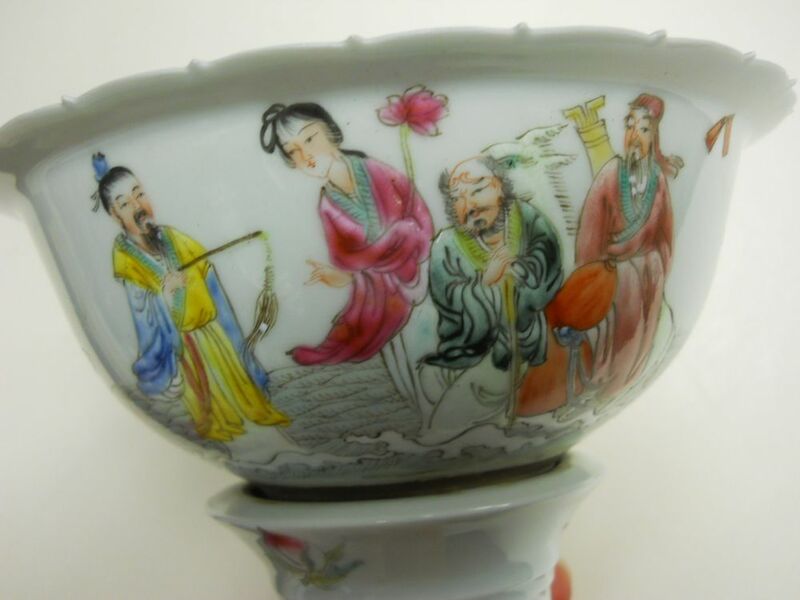 Famille Rose Bowl on a Loose Stem Foot, China, 20th century, with flanged and barbed rim, decorated with the "Eight Immortals" and peaches, four-character Qianlong mark on base, ht. 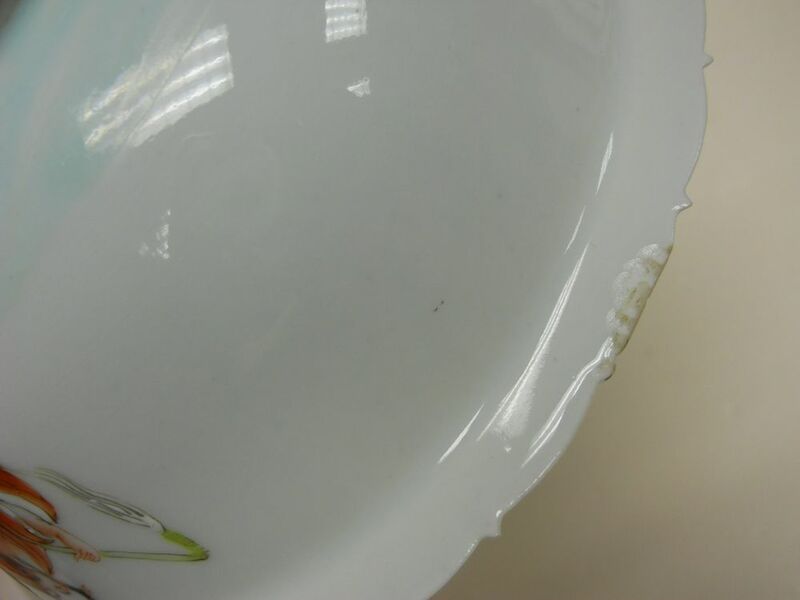 3 3/4, mouth rim dia. 5 5/8 in. 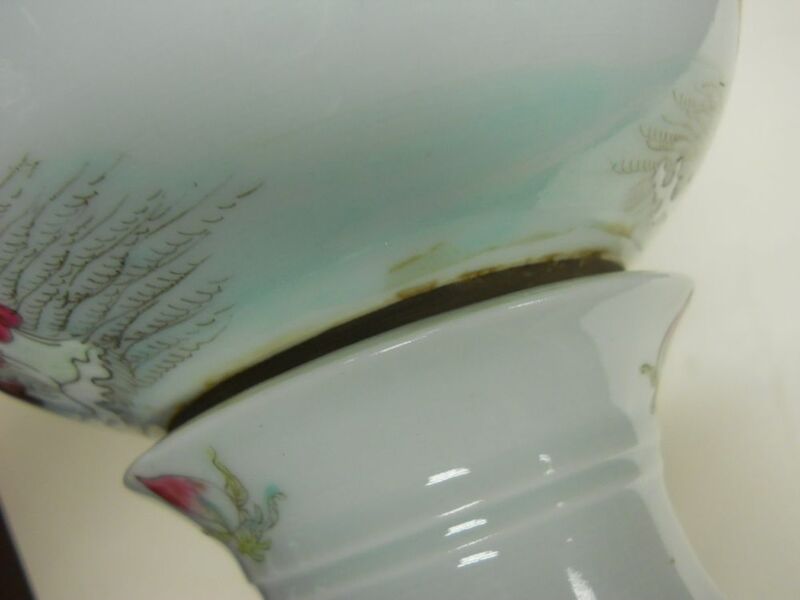 chips to underside of rim, taping residues, minor surface stain and scratches.